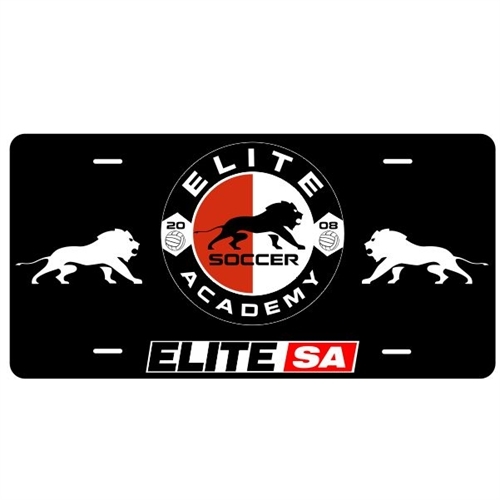 Our Elite SA License Plate are great gift for players, fans, and parents. They custom made for the perfect gift. The Elite SA License Plate will go where ever you go literary! Our Elite SA License Plate will be their to show off the club pride. Whether you're going for a drive to the supper market or dropping your kids off practice or even going to practice, the License Plate will be their to show off club pride. Item is out of stock. Call 1.888.335.GOAL for future availability.